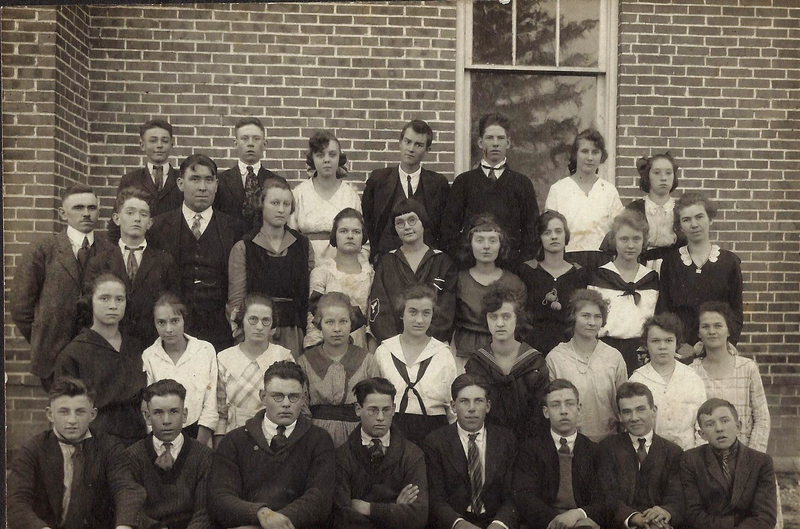 Help us identify the year photo was taken and the students. . . .
Front Rows left to right: 1. , 2. , 3. , 4. , 5. Fred Green , 6. , 7. , 8. 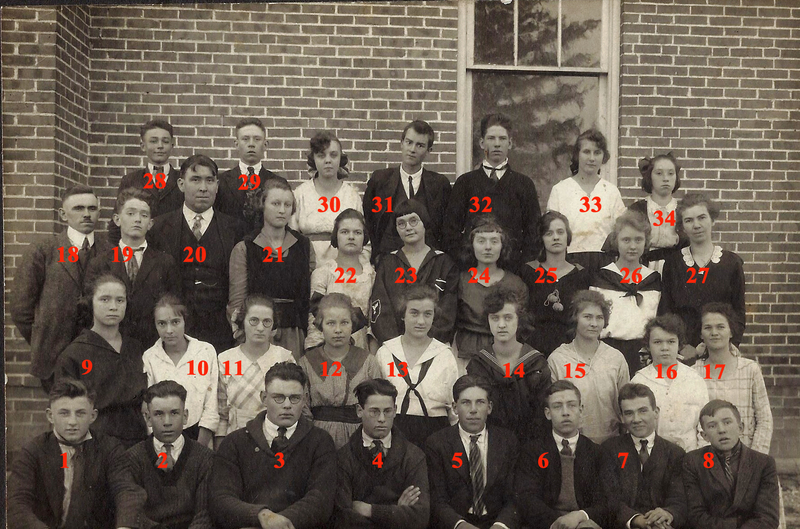 Second Row left to right: 9. , 10. , 11. , 12. , 13. , 14. , 15. , 16. , 17. Back Row left to right: 28. , 29. , 30. , 31. , 32. , 33. , 34. . Thanks to Pam Everner for the photograph.